Byron has experience in the areas of media law, intellectual property and complex business litigation. He was First Assistant United States Attorney, U.S. Southern District of Indiana from 1967 to 1969. Byron earned his undergraduate degree in 1959 from Indiana University, A.B., and his admission into the Indiana Bar in 1962. He served in the U.S. Army (Inf. and J.A.G. ), with active duty from 1962-1966. 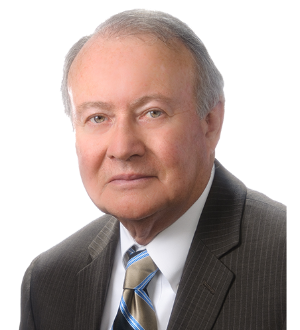 Dan has tried a number of jury and court trials over the years in state and federal courts, and has briefed and argued appellate cases before the Indiana Court of Appeals, the Indiana Supreme Court and the 7th U.S. Circuit Court of Appeals. Dan also briefed and argued the case of Fritz v. U.S. Railroad Retirement Board, a class action suit, before the Supreme Court of the United States. A number of his trials involved tobacco litigation, takeover litigation, City of Indianapolis civil rights litigation, utility litigation, and a variety of media law cases representing print and broadcast companies. In 2007, he was selected by the International Senior Lawyers Project to lead a team of West African attorneys working in Ghana, Nigeria and Sierra Leone to end impunity for violence against journalists, publishers and broadcasters and combat laws that limit freedom of expression in those countries (Nov. - Dec. 2007). For history of the trip and updates of the cases handled, see: www.dbyroninghana.blogspot.com. In 2011, he was selected by Harvard Law School’s Berkman Center for Internet and Society as an Indiana media attorney to participate in its pro bono initiative representing journalists and others in need of such help. Through the Berkman Center he was selected by the National Domestic Violence Registry to be its counsel with special emphasis on media law issues. The mission of this organization is to compile and publish a national list of the names and photographs of convicted domestic violence abusers and to inform the public of these individuals. In 2012 he was again selected by the International Senior Lawyers Project to travel to Mongolia for one month (Sept. 1 to Oct. 1) to mentor a number of defense attorneys who have undertaken cases relating to the protection of journalists and the rights of free press and free speech. He will also conduct training workshops for judges, prosecutors, journalists and media companies regarding defamation cases including sedition, criminal libel and civil libel matters. International law as well as the law of Mongolia and the United States will be addressed.Also in 2012, Dan was appointed to the advisory board of the Center for International Media Law and Policy Studies, a new research center of the Indiana University School of Journalism which is the first of its kind at a public university in the United States. Dan was also appointed to the Military Affairs Committee of the Indiana State Bar Association, which was formed in 2012 to assist deployed soldiers and their families who are in need of pro bono legal help. He was awarded the Lifetime Achievement Award by the Indiana Broadcasters Association in October, 2008, for especially meritorious service and contributions in the field of broadcasting, the association’s highest honor. He is the first non-broadcaster to receive the award.